Yoga Wellness Center located in the cosy by lanes of Kasturi Nagar conducts classes for hatha yoga, asanas, meditation, and trataka yoga. 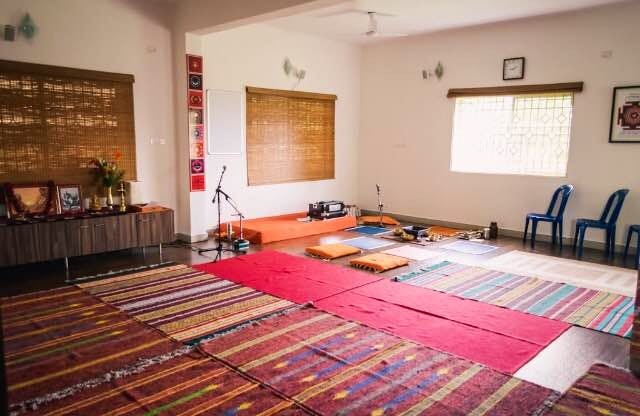 Based on Satyananda yoga tradition of the Bihar school of yoga, this center is run by two highly experienced and passionate yoga trainers. While focusing on physical strength and flexibility, yoga also provides spiritual peace and mental healing. They conduct classes every day from 6 am to 8 pm for young adults, children, and senior citizens, with the flexibility of attending any class as per your convenience. You can opt for a membership or pay per class, that's completely your choice. The trainers strive to make every session interesting by introducing a good mix of asanas and meditation. Other than all of this, they also provide Ayurveda consultation and health management classes.